An exhibition featuring a wide range of photography produced by local photographers is popping up at the Brooklyn Arts District’s SALT Studio this weekend, June 12 and 13. For two days only, the Gallery at SALT Studio presents “Focus on Local Foto,” a group exhibition featuring photographs by area fine art, professional, and emerging photographers. 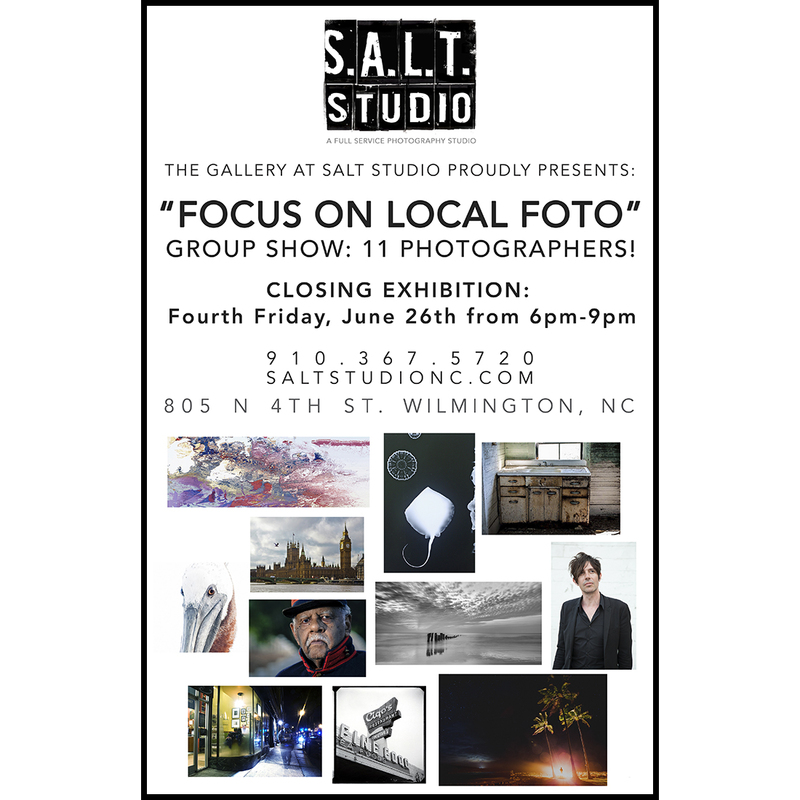 “Focus on Local Foto” opens with a public reception 6 to 10 p.m. June 12 at The Gallery at SALT Studio, 805 N. Fourth St. The show includes works by Bruce Cotton, ACME Art Studios multimedia artist Kristen Crouch, William Fridrich, Chad Hartwell, Jason Keller Hudson, Jeff Janowski, David Pascua, Barbara Snyder, SALT Studio Photography owner Kelly Starbuck, photogram artist Melissa Wilgis and StarNews photographer Mike Spencer (work pictured above). Each photographer will deliver an artist talk 11 a.m. to 5 p.m. June 13.